Extreme heat and humidity pose mortal danger to construction workers, claiming numerous lives every year and sickening thousands of others, regardless of their age or fitness level. OSHA requires employers to protect workers from extreme heat. 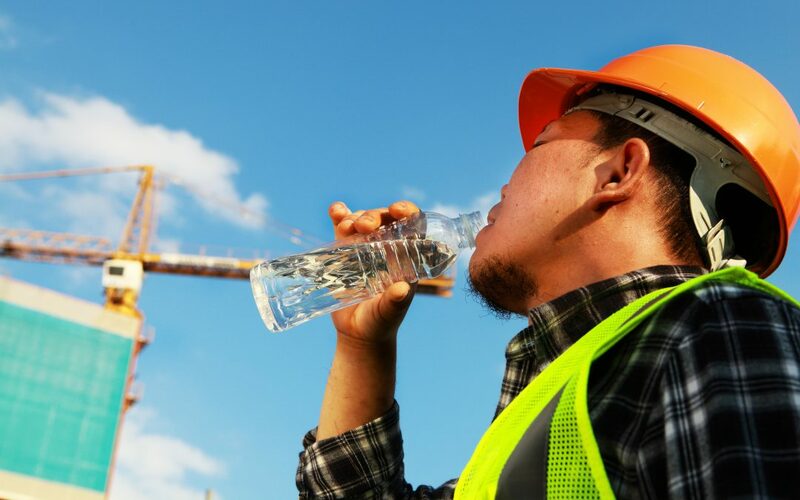 In addition to providing water, rest and shade, employers should also allow workers to gradually increase workloads and take more frequent breaks as they acclimate to warmer weather; plan for emergencies; and monitor workers for signs of illness. More tips and links to training materials are available on the OSHA website. OSHA has joined the Centers for Disease Control and Prevention’s National Institute for Occupational Safety and Health (NIOSH) to release a redesigned “Heat Safety Tool App”. The app calculates the heat index at outdoor worksites using a smartphone’s geolocation capabilities and current weather conditions from National Oceanic and Atmospheric Administration (NOAA) satellites. Based on the heat index, users are provided specific recommendations for protection against the heat. The app is available for free at the Apple Store or Google Play.